Paradise Cottage located in Sanctuary Point, is in an inviting, peaceful setting close to local attractions. This modified safe, comfortable cottage style home has been offering Carers an opportunity to book community access overnight short stay accommodation (up to 4 nights) for the person they care for. This gives the carer some “Time Out” to relax and catch up on their other interests. The cottage has two professional care workers available at all times providing assistance with daily care needs in a supportive and friendly environment. The home accommodates 5 people with care workers available to assist the person you care for throughout their stay by providing home cooked meals, local outings, and fun relaxing activities. Service delivery plans are designed taking into account individual support needs. 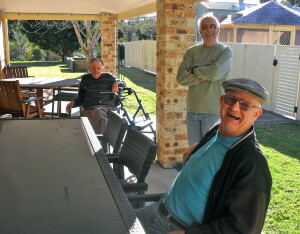 The cottage is for people over 65 who have a carer. 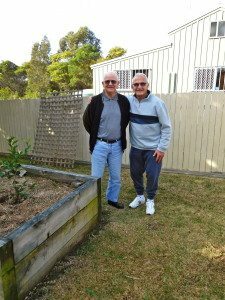 The program is funded by the Australian Government and operated by BBCR as part of their quality aged care delivery program under the “My Aged Care” reforms. The cottage phone is only answered when cottage is in progress and only available for carers of participating consumers at the time of service (44439996). Further details on Paradise Cottage, costs and availability can be obtained by contacting the aged care office on 44433434.